The following is a sermon that I wrote and delivered at First Parish in Portland Unitarian Universalist Church during a service I put together on 12/11/16 called What About God? The Spiritual Path of a UU. It was a powerful experience for me to reflect on and share my Spiritual Journey, beliefs and practices. I have chosen to continue to share them with you here. “I grew up attending a UU church very similar to this one in Lexington, Massachusetts. Like many UUs, I ended up in that church because of the confines of other religions. My mother grew up attending a beautiful and supportive Presbyterian church in Buffalo. Her mother, my grandmother, had been raised Southern Baptist and had a deep and graceful faith that was comforting to her. This, in particular, instilled in my mom an appreciation for religious influence. So, it was important for her that my sister and I grow up in some form of a religious community. My father, on the other hand, had not had a very positive experience with religion. He grew up in a strict, dramatic and forceful Southern Methodist Church in Arkansas, which as many of you here, recovering from dogmatic religions can relate, was not quite his cup of tea. And so, my mother wanting us to have some form of religious influence, had to find a community that my father could at least tolerate. They found that and more at First Parish in Lexington. I grew up with a wonderful minister and a great community of adults and children, taking part in Sunday School, Coming of Age, Youth Group, About Your Sexuality, participating in plays and the Christmas pageant, and so much more. I am so grateful for my upbringing in that community. It contributed to shaping me as an individual. It gave me perspective and taught me about humanity and life. BUT… it did not necessarily shape me spiritually. It did not teach me what to believe or even what I could believe. 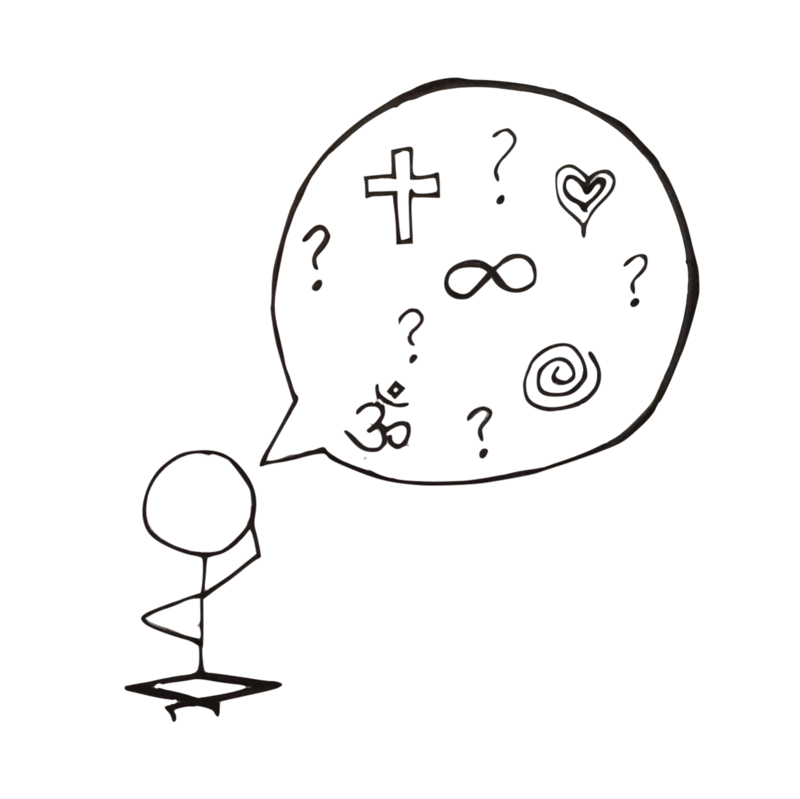 And it didn’t address any of the big spiritual questions, like does God exist? What’s the deal with Jesus? What are we doing here? And, what really matters? As I got older and especially in High School and College, I really started questioning this – why were we having a Christmas pageant when we weren’t necessarily ‘Christian?’ I questioned my mom many times about why we said a blessing before dinner that mentioned Jesus when we didn’t believe in Jesus. Were we even a religion or a faith when we didn’t address any of this stuff? And why didn’t we address it? Why didn’t we ever talk about God? We as UUs believe in welcoming and accepting everyone. In fact, my Dad sometimes referred to Unitarian Universalism as ‘The Church of Anything Goes.’ It’s pretty true. I think it is wonderful that different people with different backgrounds and different beliefs can come together as a community to support each other and the larger community. But as a religion, I feel that we are leaving a lot to be desired when it comes to spiritual support. This was actually a large consideration for me in joining this church. I knew that it was a community I really resonated with and I agree with the values and the mission, but I was hesitant because I wasn’t sure that it would fulfill my needs spiritually. And so, we are left to figure it out on our own. Now this, in my opinion, is both good and bad. The bad: We are not given much guidance or exposed to much that can help us develop our own spirituality. And so, I feel that many UUs don’t actually access or consider spirituality as much as they could, and that may be particularly true for kids growing up in the UU church. But, the good news is that we are not told what to believe by someone else, so we don’t have to unlearn before we learn, and we can build our beliefs built on our own experiences and explorations in life. So, for better or for worse, that is how my Spirituality has been shaped – through life experience. From a very young age, my life revolved around striving and achieving. I was very focused on excelling academically, athletically, and socially. And as I moved through life, this trend continued. After college, I wanted to be the best at my job, the best girlfriend, the best friend, etc. I expected myself to be the best at everything. And I was okay. I had a cool and important job in a hip marketing agency, I moved up the ladder very quickly, and was respected and valued by my clients and team members. I was living in Boulder, Colorado, which was pretty cool, had a lot of friends, and I was in a relationship. By all standards, I was successful. From the outside, it all looked great. But, on the inside, I was struggling. I had a very active internal monologue and I was constantly analyzing what others thought of me, the mistakes I was making, and how I could be and do better. I was paralyzed by the belief that I wasn’t good enough. I was exhausted and anxious. And I felt oddly alone given how many people surrounded me. Over the years, the discomfort grew and grew. I would try to change my situation thinking that would help, but it didn’t. No matter what I did, I couldn’t fix it. And eventually, six years ago, it got really bad. I was exhausted, unhappy, anxious and depressed. This, of course, is where my Spiritual Journey really began, as it does for many people – when things got really bad. I find that it is often in the darkness that we are able to find the light. First, came the signs. There were occurrences in my life that I could have seen as coincidences but after reading The Celestine Prophecy by James Redfield, I had started to consider that there was no such thing as a coincidence. These occurrences were accompanied by a little voice inside me that was exponentially softer than the one I was so used to hearing in my head, but it was there and it was talking to me in a different way. This was my intuition. And it was telling me to stop what I was doing. It was telling me that something was not right and I needed to slow down and take time for myself and change direction. It was telling me to surrender control, and just be. I vacillated a lot between listening my newly discovered intuition, trusting that I could let go and surrender control, and completely freaking out when I was listening to that very loud voice in my head that was telling me I was crazy. That I should have just been happy with the ‘successful’ life I had built and something was wrong with me that I couldn’t be happy with it. That I wasn’t good enough. But somehow, I just knew that what my intuition was telling me was more true, that it somehow mattered more. Despite being a softer voice, it was what I needed to follow. So I quit my job. I let go of the plan, and I surrendered. This was step one in my journey: paying attention to what was coming up around me and what was coming up within me, and surrendering. The next step came in asking for support. I wouldn’t have called it this at the time, but I basically started praying. I started writing down notes and saying things internally about what I felt I needed. And at the time, what I needed was time. And amazingly, time showed up. The more time I had, the more time I realized I needed, and the more it kept showing up. And so, I began to slowly trust that I was somehow being taken care of. I started trusting that whatever I was meant to experience or learn was going to show up. And so, opportunities started showing up. They were not at all what I expected, and they showed up in the most unexpected ways, but they were exactly what I needed. One of these was my path crossing with Martha Beck. In yet another very strange twist of circumstances, I somehow ended up in a workshop she was presenting. I had no clue who she was and I didn’t actually plan on staying. But, within what seemed to be minutes, I was crying tears of relief. This woman, standing before me, was explaining exactly what I had been dealing with, why I was feeling this way and what I was experiencing. For the first time, I didn’t feel crazy. Martha Beck’s work is built on a philosophy that we all have two selves. There is the essential self, which is who we are born as and born to be. The easiest way to explain this is to consider the personality and light that you see in children when they are very young, before life really starts happening to them. And then, there is the social self. The social self is the part of us that allows us to interact with society, to exist in the world, to relate to others, and to be responsible humans. It is the part that starts to kick in with kids as they start interacting with others and being affected by the world. What I realized that day was that my social self had taken over. Like a pirate commandeering another ship and it’s treasure, my social self had been at the helm of my life. When the social self takes over, the essential self doesn’t go away, it is just shrouded in the darkness that the social self can create in fear. The essential self is still there, trying to be seen and heard. But if the social self is strong enough, it will keep the essential self basically locked up, which is what had happened to me. I believe that the social self is connected to earth-bound ego. It derives its reality from the things we have access to in this world. From the things we can see, know and prove. The essential self, on the other hand, is connected to the divine, to things that we cannot know or see or prove with absolute certainty. The closest description I have ever found to what I believe that divine is is what I shared with you earlier in the reading from Anita Moorjani’s Near Death Experience (a combination of excerpts from Dying to be Me was shared previously in the service). I believe that the divine that we have access to, which I now call Spirit, is not one specific deity or even one entity. It is the energetic and vibrational fields around us and within us. It is everywhere, in everything and in everyone. It is full of light and a love that is beyond anything we can ever imagine or describe. It is pure, unedited, uncompromising love that is far beyond the reaches of our human understanding. But, we do not see that experience in our lives. We do not all have near death experiences that show us this a spiritual reality. And so, of course it is easier for us to be driven by the social self and ego which is based on the reality we can know and see. But… I believe that it is our purpose to connect to the divine within us and live as as our essential selves within this human experience. So, how do we do this? How do we live more fully from our essential selves and connect to the divine within us and beyond? The first step is in actually deciding to connect, and much more specifically, in deciding not to disconnect. For many of us, when we are struggling, feeling depressed, anxious or feeling racked with difficult thoughts or feelings, it is not exactly our automatic response to be present with that discomfort and connect. Rather, our default is to check out. There are a lot of different ways we can disconnect, like drugs, drinking, staying chronically busy, and now, in an age where we are so technologically ‘connected,’ social media and our smartphones have provided us with an endless rabbit hole of disconnection. For me, my ‘disconnection drugs’ of choice are TV and food. Since I was in middle school, when my social self really finally took over the show, I have used food to keep my feelings inside – to stuff them down and keep them at bay. And I have used TV to check out from my reality and shut out my painful thoughts. I can now see that the amount I use these crutches at any given point in my life has been directly correlated to how much I was struggling. The more pain I was in, the more I would disconnect. The more I felt disconnected, the more I would disconnect. I was reinforcing the disconnection. Now, I’m not standing up here to tell you not to engage in the activities that you use to disconnect. That’s aggressive. And it is an option, but cutting them out altogether would address the symptom, but not necessarily the problem. It is most important to recognize how disconnected we feel and to recognize when we are using these crutches to avoid or disconnect from that feeling. It is about learning to have a healthy relationship with those behaviors and finding balance with using them in a healthy manner instead of using them as a complete disconnector. If all you can do is start with the awareness that you’re disconnecting from the disconnected feeling, it’s a really big step – it took me a long time. So, once you are able to choose not to disconnect, what’s next? One way to reconnect to your essential self is to re-engage with the things your essential self enjoys. I am getting back to the things I loved when I was really young-playing around with my creative and artistic side, swimming, being in the water, especially the ocean, and dancing. And all of those things feel spiritual and connected for me. They are great access points for me and a great reminder of what I’m trying to do. When I do these things, I now feel connected to Spirit, and I feel that connection because I have been fostering that relationship. And this is important. Much like any relationship in life, these relationships need fostering. Spirituality is not just about believing, it is about engaging, and not just when we’re struggling. We need to build a foundation of connection that is continuous. And so, it is a practice. A Spiritual Practice. Many believe that mediation is a key component of this practice. I do believe that being able to slow down the mind and see thoughts for what they are is a critical aspect of connecting to your spiritual center. But, sitting down and meditating is incredibly difficult for me, so I’m still working up to that. What I am currently comfortable with is guided meditation like the one I did with you earlier as well as short periods of time where I am able to breathe into my body and notice the divine energy pulsing within me. I also connect with myself and Spirit every morning in a prayer of gratitude and intention as well as a short writing exercise that I discovered this summer in a book called Writing Down Your Soul by Janet Conner. These morning rituals are the parts of my Spiritual Practice that really build and hold the foundation of my connection to Spirit, to my essential self, and living from my truth. In addition to those foundational rituals, there is the continued practice of checking in with myself and Spirit. When I have a thought or a reaction to something that happens, I try to check in with myself and ask, where is this coming from? Is this coming from my social self or my essential self? Is this coming from ego or from Spirit? What I am learning with increasing intensity is that when I am caught up in the social self, or in the ego, I am not capable of connecting to Spirit and the light within me. The ego is centered on me, acting out of fear, and disconnection. It blocks out the light. So I ask myself, am I thinking and acting from a place of fear, lack and disconnection or from a place of love, abundance and connection? As I am able to more frequently catch myself in my social self and ego, I am able to more consciously connect with my essential self and Spirit. As my practice continues, my connection to myself and Spirit grows. I feel more at peace with myself now. I don’t feel so alone and I know I am more connected to myself, to Spirit and my purpose. I am more able to get out of my head and truly be present with my experience. To see things for what they are, to feel the truth I know within me. And to appreciate the experience I am in, the journey I am on and the divine that exists within and around me. In closing, I want to thank you all for the opportunity to present this service today and write this sermon. It has been a powerful experience for me to reflect on my journey and synthesize my thoughts. It has brought me to a new level of understanding of myself, my experience, and my spirituality. Devin Green has been a member of First Parish in Portland for two years. 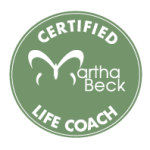 She is a Certified Martha Beck Coach, and has her own business working as a Coach and Consultant with local and national clients. She helps individuals, leaders and companies to live, work and communicate more clearly and authentically. She helps individuals to connect with their essential self, their voice, purpose and path in life. Working with executives and companies, she helps to create more authentic, intentional, transparent, inclusive and healthy leaders and work culture and strategy. And, she assists organizations and individuals in clearly communicating their mission, vision and messaging both internally and externally. Devin facilitates presentation and communication workshops within organizations, has lead workshops at Maine Startup & Create Week and is a Speaker Coach for TEDx Dirigo.